Dunes West was part of two proprietary grants that deeded 460 acres to Francis Gracia in 1699 and 620 acres to Thomas Carry in 1704. When the two properties were combined and sold to George Logan in 1708, there was already a sizable plantation with a house, outbuildings, barns, a stable, orchards, and gardens situated along the Wando River. During the early 18th century, the land was owned by a succession of families including the Chalmers, Peronneaus, and Vanderhorsts. William Hopton purchased the land in 1759, and it remained in his extended family until 1853. William Hopton was a successful Charleston merchant, served as Deputy Naval Officer for the colony, and was appointed public registrar in 1748. He named his new Wando plantation Starvegut Hall. Hopton managed his property from his principal residence on Meeting Street in Charleston. The land was known as Hopton throughout the 19th century and as Wando Plantation in the 20th century. William Hopton’s wife, Sarah Ward Clapp, was an avid gardener and corresponded with the famous botanist William Bartram. When Bartram visited Charleston in 1763, William Hopton invited him to visit his Wando plantation. Bartram wrote in his journal, “Set out with Mr. Hopton to his seat which he called starve gut hall on Wando river. He shewed me his rice ground and we walked in his salt swamps.” An interest in botany ran in the Hopton family. William Hopton’s grandson James Gregorie Jr. inherited the Wando lands in 1808. James moved permanently to his residence at Starvegut Hall in 1834 where he developed an ever-bearing strawberry. In 1996, archaeologists excavated the site of William Hopton’s Starvegut Hall. They found remnants of 10 buildings and thousands of artifacts associated with the everyday lives of the Hopton family, plantation overseer, and enslaved community. 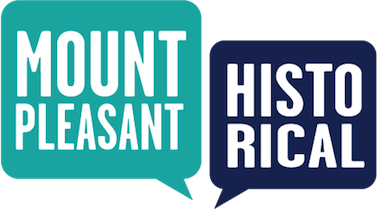 Town of Mount Pleasant Historical Commission, “William Hopton's Starvegut Hall,” Mount Pleasant Historical, accessed April 21, 2019, http://mountpleasanthistorical.org/items/show/74.